Nick graduated from Bowling Green with a Bachelor's in Exercise Science. He has been the Executive Director at the YMCA in Mount Vernon since 2010. Kelly has worked with United Way since April of 2015 and became the Executive Director in October 2015. As a former Executive Director of the American Red Cross, she has a strong understanding of community collaboration. 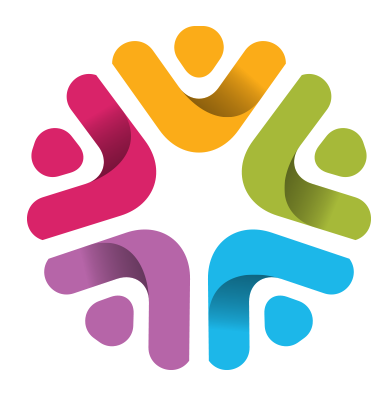 Over the years, Kelly's community involvement has impacted the work of many local non-profit boards and committees. Denise has been a member of KSAAT for 5 years and is chairperson of the KSAAT Community Committee. Denise has been owner of Conways East Side Pharmacy since its opening in May 2006. She was a staff pharmacist at Foster's Pharmacy in downtown Mount Vernon and Centerburg. She is a 2000 graduate of Ohio Northern University College of Pharmacy. She is a member of the Ohio Pharmacist Association, American Pharmacist Association and National Community Pharmacists Association. Emily Morrison is the Adult Committee Chair for KSAAT. Lori Jones-Perkins is the Youth Committee Chair for KSAAT. Shaffer rose through the ranks from deputy to patrol sergeant, to lieutenant, to division commander in charge of patrol, records, and civil process. His next step was serving as captain before being elected Knox County Sheriff. Shaffer is a past recipient of the National Sheriff's Association Medal of valor and the Ohio Attorney General's Distinguished Law Enforcement Group Achievement Award. 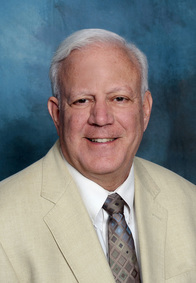 Dr. Northup is the Chief Medical Officer at Knox Community Hospital. Prior to becoming CMO, he practiced obstetrics and gynecology in Arizona for 30 years including working closely with the Indian Health Service regarding prenatal substance abuse. Josh Gutridge received an Associate Degree of Applied Science, Criminal Justice Technology from the Central Ohio Technical College in June 1999. Upon graduation, he worked for 13 years at the Licking-Muskingum Community Correctional Center in Newark, Ohio serving the majority of his time as a case manager. In 2011, he began working for the Knox County Court of Common Pleas as a probation officer and, in 2017, was named Deputy Chief Probation Officer in charge of the Alpha & Omega Probation House. He has had a significant role in teaching cognitive behavioral therapy classes and organizing programs available at the probation house through various county agencies which include counseling, group therapy, educational opportunities, and job skill training. He has also connected with volunteers to provide basic hygiene products and clothing for those in need. Current projects Josh is working on include mentoring programs and a curriculum designed for female offenders. In addition, Josh serves on the Metropolitan Housing Authority Board and is a member of KSAAT. Julie Miller, R.N., M.S.N., became Knox County Health Commissioner in September 2010. She has over 30 years of experience in the health field including working as an administrator, nursing educator and as a public health professional. She is a registered nurse and has a master’s degree in nursing. 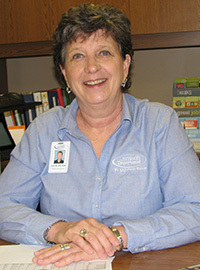 Prior to coming to Knox County, Julie was the director of nursing at the Union County Health Department in Marysville. She has also been the director of nursing at the Morrow County and Richland County health departments and was a public health nurse at the Delaware County Health Department. Additionally, Julie has worked as the health services director with the Community Health Access Project (CHAP) in Mansfield, an assistant professor at MedCentral College of Nursing in Mansfield and a nursing clinical instructor at Otterbein College in Westerville. 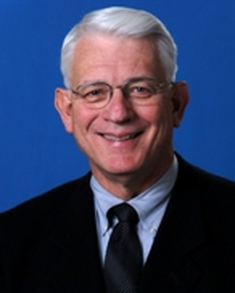 Since 1996, Richard K. Mavis has served as the mayor of the City of Mount Vernon. As a Knox County Commissioner from 1975 to 1995, Mavis was president of the board of commissioners for 15 years. Mavis currently serves as a member of many committees and local initiatives to better the community like KSAAT, the Community Foundation of Mount Vernon & Knox County Board of Trustees, the Area Development Foundation Executive Committee, and more. Mavis is a 2007 recipient of the Mount Vernon - Knox County Chamber of Commerce Lifetime Achievement Award and the 2009 recipient of the Heritage Centre Walter Rudin Award. Captain Scott McKnight began his career in law enforcement as a graduate of the North Central Technology in 1995. He graduated from Basic Police Academy in 1996, receiving the Commander's Award from Academy Class #95-110. After serving with the Richland County Sheriff's Office and the Delaware County Sheriff's Office, he began his service with the Mount Vernon Police Department in 1998. He was the recipient of the Mount Vernon Police Department Officer of the Year award in 2003. Captain McKnight began his tenure as Captain in 2015, after being promoted through the ranks of the Mount Vernon Patrol Division . Tina Cockrell is the Drug Free Communities Grant Coordinator working with the KSAAT coalition. She handles all of the planning as well as the coordination of KSAAT's legal fees and grants. Tina is involved in all of KSAAT's committees and communicates regularly for the coalition. 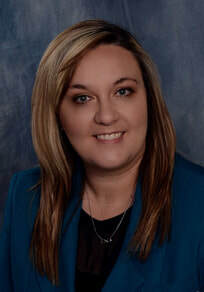 Tina is an alumna of the 2013 Leadership Knox class, a recipient of the 2015 Chamber of Commerce Chair's Award and a graduate of Franklin University with a Bachelor's in Criminal Justice Administration.